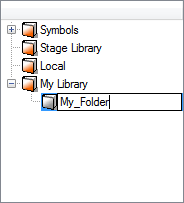 Although you can only have one Symbol library folder, you can organize it by creating subfolders. There are two ways to create Library folders. • Directly through your operating system. 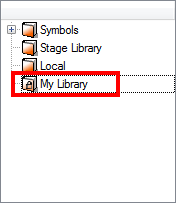 To create a library using your operating system, create a new folder with a relevant name in the location where you want the library to be stored. This can be opened in Harmony when you require it. .
1. In the Library view click on the Menu button and select Folders > Open Library. 2. Browse for the location where you want to store your new library. 3. Click the New Folder button. 4. Name the new library with a relevant name and click OK.
1. In the Library View menu, select Folders > Open Library. 2. Browse to the location of the library folder. 3. 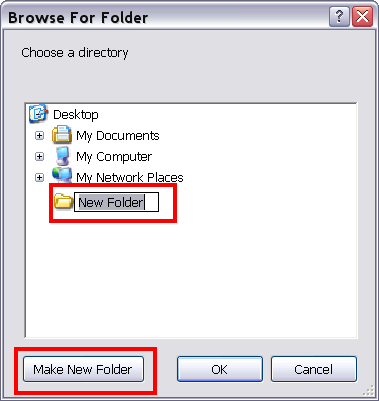 Select the folder and click OK.
You may not always require all of the library folders in the Library List. If this is the case, you can close the ones you do not need. Closing a folder does not delete it, but unlinks it from the Library view. If you want to reopen it, locate it on your hard drive or network and open it in the Library view. 1. On the right side of the Library view, select the library folder to close. 2. In the Library View menu, select Folders > Close Library. Symbol and template libraries need to be organized. You can create different subfolders on your hard drive or in the Library view, so you can easily access your assets. By default, any new library you link to your Library view is locked to prevent accidental deletion or modification of templates and Symbols. You must obtain the right to modify it before being able to add a new folder to it. 1. On the left side of the Library view, select the library folder to which you want to add a subfolder. 2. In the Library View menu, select Edit > Right to Modify. 3. In the Library View menu, select Folders > New Folder. Warning: All templates and Symbols in the folder will be deleted from your hard drive. Once deleted, the data cannot be retrieved. 1. In the Library view's left side, select the folder to delete. 2. In the Library View menu, select Edit > Right to Modify or right-click on the selected library and select Right to Modify. 3. In the Library View menu, select Folders > Delete Folder or press [Delete]. 1. In the Library view's left side, select the folder to rename. 3. In the Library View menu, select Folders > Rename Folder. 4. Rename the selected folder. 5. Press [Enter/Return] to validate the operation. 1. In the Library view's left side, select the folder to refresh. 2. In the Library View menu, select Folders > Refresh or press [F5]. 1. 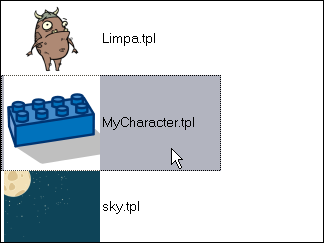 In the Library view's right side, select the template you want to generate thumbnails for. 2. In the Library View menu, select View > Generate Thumbnails. 1. In the Library View menu, select Edit > Delete Thumbnails.